The launch of Chauffeur Service Scotland has arrived and is here to stay. With the provision of a professional service we will help you portray a competent well polished image to all your clients and prospective customers. Your image, your business and you are all factors in which customers and clients are basing their decision on when deciding to work with you. Presenting yourself at the highest level at all times is very important. When you have clients or prospective clients coming to your offices, what a better way to make a great impression than to have them collected with a professional chauffeur company. The arranged chauffeur service will demonstrate to your client how important they are to you and your company. As well as this you are portraying a successful company and clients like to work with companies that are doing well. The perceived image of a chauffeur company is expensive, however this is not always the case if you choose wisely. Making your customers feel special is something Chauffeur Service Scotland do well. Whether is be an airport transfer, accommodation transfer or a meeting venue transfer you can rely on Chauffeur Service Scotland to get you and your clients there on time and in comfort. Our aim is to be a further extension of your business. Getting to know you and your business is key to us and ensures that when we greet your client we are able to communicate with them about your company and what it does. As we are centrally located it is an easy commute to Scotland’s largest two airports. We will always be on time and ensure your client is never left waiting. With a personal meet and greet service, a courteous driver and a comfortable journey to your offices – this services will be one your client will remember. From the initial meeting of your client to the final destination your client will be treated with as much professionalism as you yourself would demonstrate. Airport transfers are the most obvious use of a chauffeur service, however we do much more. We are able to accommodate multi-itinerary destinations covering the whole of your clients visit. Whether it be just your client or you wish to join them then let Chauffeur Service Scotland take care of the driving and the logistics. This will ensure that you get the most out of your time with your client, letting you build relationships in a relaxing environment. Not only do we want your clients to arrive at your offices stress free but we believe that you should arrive at your own meetings feeling relaxed. The carefully planned and relaxing journey allows you to prepare for your day ahead as you travel. Whether you choose to work or rest on the journey you can breathe easy knowing that Chauffeur Service Scotland is taking care of all the logistics. Also, the chauffeur service we provide will impress the people you are meeting with and again enhance the image of your company. 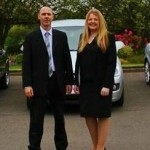 You may also want to read about all of our chauffeur services here. 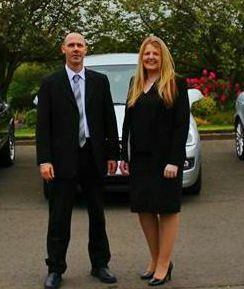 This has been an article about Chauffeur Service Scotland.